The vagus nerve can be thought of a superhighway that connects your body and your brain. It innervates most organs in the body; the messages zip along its five lanes of traffic with four lanes delivering information from the body to the brain and one lane moving information from the brain to the body. This is the most obvious physical representation of the mind-body connection. The vagus nerve both senses your internal environment (via its sensory neurons) and affects it (via its motor neurons). Since a lot of the nerve’s function depends on which way the information is going, from here on we will separate those into body-to-brain and brain-to-body pathways. Some of the functions of the vagus nerve have been long established, while others were discovered only recently. No doubt, within the next few decades we will continue to learn more and more about it, since electrical stimulation of the vagus nerve for conditions including epilepsy, rheumatoid arthritis and depression is becoming an alternative to drugs. 1. It is intimately involved in managing sympathetic/parasympathetic balance in the autonomic nervous system (ANS). Here is a quick reminder how ANS works. The vagus nerve provides 75% of all parasympathetic outflow. When the brain triggers parasympathetic activation, the vagus nerve carries the messages to the heart (decreasing the heart rate and blood pressure), to the lungs (to constrict the respiratory passageways), to every organ in the digestive system (to increase motility and blood flow to the digestive tract, to promote defecation), to the kidneys and bladder (to promote urination) and to reproductive organs (to aid in sexual arousal). 2. It communicates messages between the gut and the brain. 80% of the vagus nerve’s fibers (4 out of 5 traffic lanes) deliver information from the enteric nervous system (the second brain in the gut) to the brain. 3. It regulates the muscle movement necessary to keep you breathing. Your brain communicates with your diaphragm via the release of the neurotransmitter acetylcholine from the vagus nerve to keep you breathing. If the vagus nerve stops releasing acetylcholine, you will stop breathing. 4. It helps decrease inflammation. About 15 years ago neurosurgeon Kevin Tracey and his colleagues found that a tiny amount of an anti-inflammatory drug in rats’ brains blocked the production of an inflammatory molecule in the liver and spleen. How did the signal get there? The researchers began cutting nerves one at a time to find the ones responsible for transmitting the anti-inflammatory signal from brain to body. 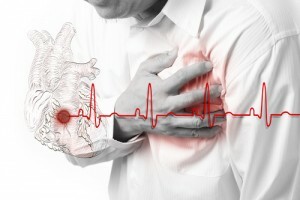 “When we cut the vagus nerve, which runs from the brain stem down to the spleen, the effect was gone,” says Tracey, president and CEO of the Feinstein Institute for Medical Research in Manhasset, N.Y. Later they discovered that stimulating undamaged vagus fibers also had anti-inflammatory effects in animals (without the drug), which they attributed to the release of the neurotransmitter acetylcholine by the vagus nerve. 6. It helps improve your mood. Research shows that stimulation of the vagus nerve can be an effective treatment for chronic depression that has failed to respond to other treatments. Electrical stimulation of the vagus through a surgically implanted device has already been approved by the U.S. Food and Drug Administration as a therapy for patients who don’t get relief from existing treatments. 7. It is essential in fear management. Remember that “gut instinct” that tells you when something isn’t right? Turns out that the vagus nerve plays a major role in that. The signals from your gut get sent to the brain via the vagus nerve, and the signals from the brain travel back to the gut, forming a feedback loop. What if this loop was interrupted – wondered the researchers in a new Swiss study – would that affect innate anxiety and conditioned fear? Turns out it does. In test animals, the brain was still able to send signals down to the stomach, but the brain couldn’t receive signals coming up from the stomach. The research showed that those rats weren’t that afraid to begin with (lower level of innate fear), but once they became afraid, they had trouble overcoming this fear even when the danger was no longer present (longer retention of learned fear). This shows that healthy functioning of the vagus nerve helps us bounce back from stressful situations and overcome fear conditioning. 8. It plays a role in learning and memory. The same Swiss study (above) found that the rats without gut instincts transmitting to the brain via the vagus nerve required significantly longer to re-associate previously “dangerous” environment with the new, “safe” and neutral situation. This shows that the vagus nerve facilitates learning and re-wiring, so to speak. “These new findings about the vagus nerve offer exciting possibility for the treatment of post-traumatic stress disorder (PTSD). Stimulation of the vagus nerve might be able to speed up the process by which people with PTSD can learn to reassociate a non-threatening stimuli which triggers anxiety with a neutral and non-traumatic experience”(1). It can also help with healing sexual stress and trauma. All this research is very promising and is full of possibility. But, as always, we have to remember that nothing in the body works in isolation. So it would be very dangerous and cavalier to assume the attitude of “Just zap it and you will feel better” when it comes to the vagus nerve. Considering the nerve’s wide spread influence, we don’t know how electrical stimulation of the nerve would affect other functions. Some scientists compare it to turning on the light in one room in the house, which can simultaneously turn on the light in other rooms as well without us ever knowing about it. So when it comes to more invasive procedures such as surgery and the use of implants, caution is definitely warranted. However, what I find the most interesting (and relevant to us, yoga teachers) is the on-going conversation about the vagal tone. Apparently, the secret recipe for de-stressing, healthy gut, less inflammation, and happy demeanor all lie in the higher resting vagal tone. Some of it is congenital (you might be born a “glass-half-full person” indicating a high vagal tone), and some apparently can be acquired. How can we raise the vagal tone without the invasive procedures? We will talk about it in detail next week. Tune in! Good job as always Olga. Keep the great work up. Great article, Olga. Thank you! Amazing information about our bodies. Thank you. Very useful information. There is something magic: when a question or subject arises in my mind, to get deeper into that, your article comes as answer!! Thank you Olga! Thanks for this. I am fascinated by this nerve as well as I have been at conferences where they speak a great deal about the current research with mood disorders and eating disorders as well. As yoga teachers/therapists, what is your opinion on whether or not we can actually “stimulate” this nerve through movement/breath? I have heard teachers mention that and am always a bit leery. looking forward to continued conversation on this subject! Great topic…Yoga postures are the reason I am walking. Swimming also. i have severe scoliosis , slipped L 5, leg length discrepancy….you get the picture. My tummy is tight due to swimming and daily yoga practice. 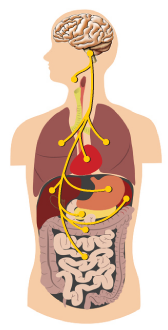 The vagus nerve….hmm…I feel like my strength comes from my tummy. ..Thanks. Would love to learn more! I loved your call for that matter. I want to add the following: all imbalance part of a cause, and the reverse can also occur : an irritating food intolerance to the intestines can cause the imbalance of the vagus nerve . I have fructose malabsorption , and before I did discover many SITOMAS the vagus nerve. After eliminating very high in fructose food , the vagus nerve returned to normal. I am a yoga teacher for 30 years. Thank you, Olga . I love your site ! I enjoyed reading your article on the vegus nerve. I look forward to more. I appreciate your information and extensive knowledge of the Vagus Nerve. It’s assisted me in teaching more thoroughly on this subject! For six months 1 year ago I suffered with severe nausea every day that totally destroyed my value of life.One day it just stopped and i was left with many questions and all testing showing nothing.Now in 2 days I have had 5 seizure like episodes.When I told my doc BINGO..the lights when on and my Dr.said she is 99.9 sure that these probs are caused by the Vagus nerve. I am curious if these seizures are happening to anyone else..?. Vagus nerve innervates the diaphragm?